Peter Filatreu Cross (October 6, 1815 – October 13, 1862) was an assistant engraver to James B. Longacre at the U.S. Mint in Philadelphia, Pennsylvania. Cross was born in New York City to William Cross (a ship captain, missing at sea September 1815) and Hannah Woods Cross, and despite Mint records stating that he died in 1856, he appears in the 1860 U.S. Census in Philadelphia. He married Harriet Chapin and had one child, Maria B. Cross (later Willard, 1845–1917). He is best known for his work on the reverse of the 1849 one dollar ($1) gold coin. The value of gold required the coin to be so small — 12.7 millimetres (0.50 in) in diameter) — that too many people were losing them, so it had to be redesigned (In spending power, the dollar of 1849 is equal to $30.12 today, but even that value is far exceeded by the collector value as well as by the present value of the gold content). He also designed medals of the period, including a medal of Commander Duncan Ingraham. Cross died on October 13, 1862 in Philadelphia, Pennsylvania, and is buried at Lawnview Cemetery in Rockledge, Pennsylvania. He was disinterred from the Odd Fellows Cemetery in Philadelphia circa 1951 when that cemetery was removed to make way for the Raymond Rosen housing project, which itself was demolished in 1995 as part of an urban renewal program. On March 14, 2013, Cross was mentioned by full name in the Jump Start comic strip, written by Robb Armstrong, a native of Philadelphia, in an arc about coin collecting. The Coinage Act of 1873 or Mint Act of 1873, 17 Stat. 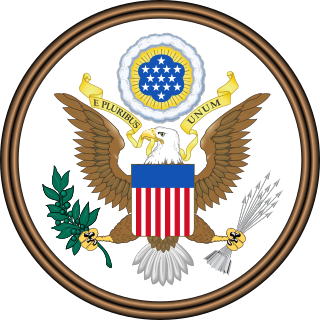 424, was a general revision of the laws relating to the Mint of the United States. In abolishing the right of holders of silver bullion to have their metal struck into fully legal tender dollar coins, it ended bimetallism in the United States, placing the nation firmly on the gold standard. Because of this, the act became contentious in later years, and was denounced by some as the "Crime of '73". John M. Mercanti is an American sculptor and engraver. He was the twelfth Chief Engraver of the United States Mint until his retirement in late 2010. The United States Assay Commission was an agency of the United States government from 1792 to 1980. Its function was to supervise the annual testing of the gold, silver, and base metal coins produced by the United States Mint to ensure that they met specifications. 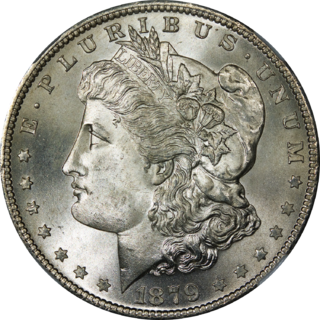 Although some members were designated by statute, for the most part the commission, which was freshly appointed each year, consisted of prominent Americans, including numismatists. Appointment to the Assay Commission was eagerly sought after, in part because commissioners received a commemorative medal. These medals, different each year, are extremely rare, with the exception of the 1977 issue, which was sold to the general public.